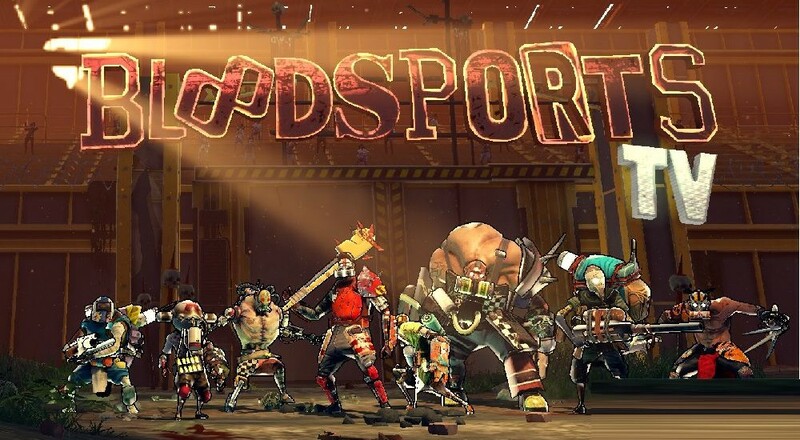 Last night the crew checked out Bloodsports.TV for our latest co-op stream. The game is best described as a mash-up of others. It's DOTA 2 meets Dawn of War 2's Last Stand mode. It's Smash TV meets Borderlands style. It's also a hell of a lot of fun. While the game is designed for up to five players split across four classes, we had no problem last night playing with just three of us. Each class fits into a role like healing, damage dealer, crowd control, and support - with each of those having four characters to choose from. Like DOTA 2 there's an extensive item ship in map that allows you to buff your character and tweak your play style further. But what do you DO in the game? Combatants battle an endless onslaught of angry villagers, mutants and animals to the sound of a quirky commentator, who provides a minute by minute commentary to the vicious, bloody entertainment, in this fast-paced approach to strategic co-op games. Bloodsports.TV plays a lot like DOTA 2 though it's a bit faster paced. You can set difficulty, map, and a few other options and then team up with your friends in good ol' co-op action. Here's a recap of last night's activities.